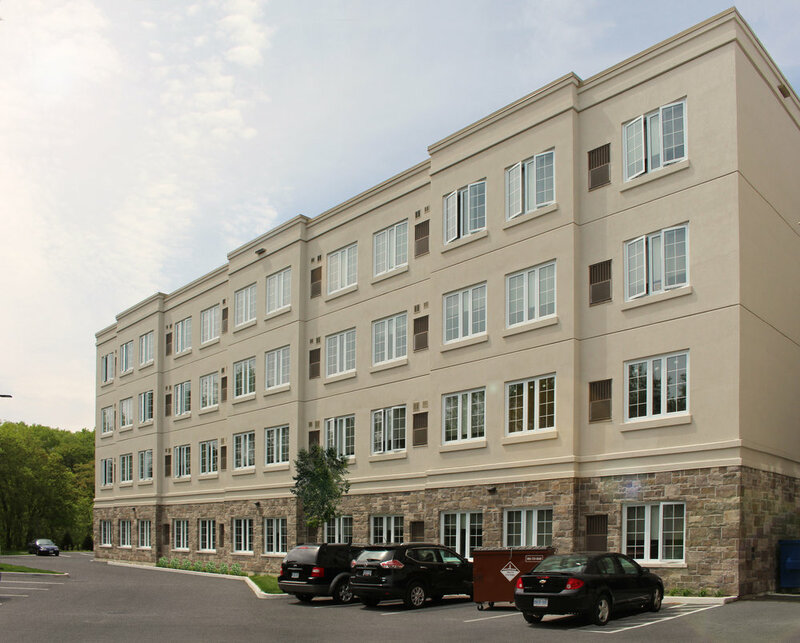 The 6-storey multi-use development is located in Newcastle, ON. It holds multiple commercial shops on the ground floor, medical offices on the second floor, residential condos on the third through sixth storey, and a rooftop amenity space for the residents. A highlight to this building is the beautiful skylight that runs through 5 floors, it brings in natural light to the medical offices and hallways on the residential floors. This building is scheduled to be completed in Spring 2019.